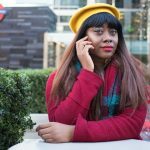 Elizabeth Okoh is a London based, Nigerian writer and photographer with a penchant for storytelling and wanderlust. She is a published self-taught artist interested in portraiture, boudoir and conceptual photography which she uses to explore various narratives. Okoh’s work is inspired and influenced by social justice, culture, immigration and living in the diaspora. Her debut novel will be published by Hodder & Stoughton in April, 2020. She is currently working on her second novel and her third conceptual photography series. You can learn more about her at elizabethokoh.com as well as on Instagram and Twitter @lizeokoh.